What is the Wood Chalkboard with Slide-In Poster Case? 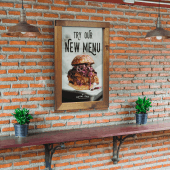 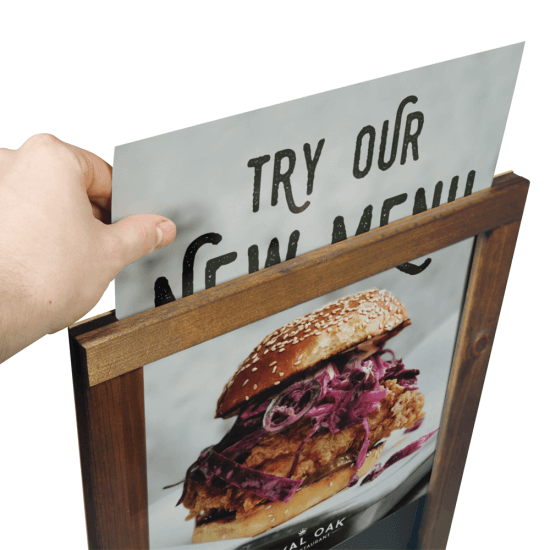 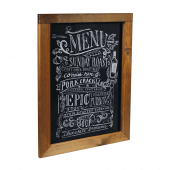 Our Wood Chalkboard Poster Case gives you the versatility to display your menu on either the integrated chalkboard or by sliding in a paper poster. 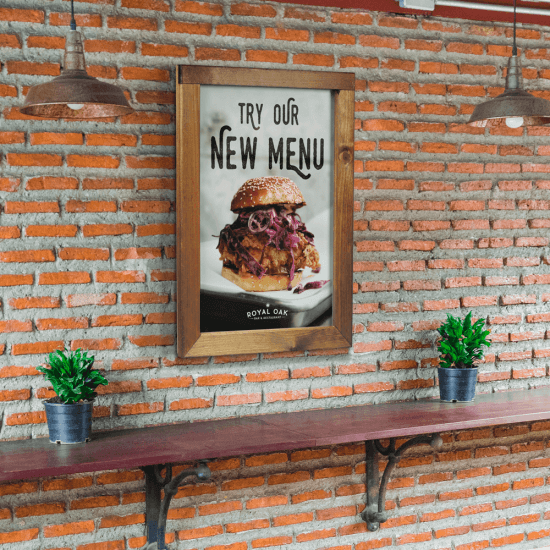 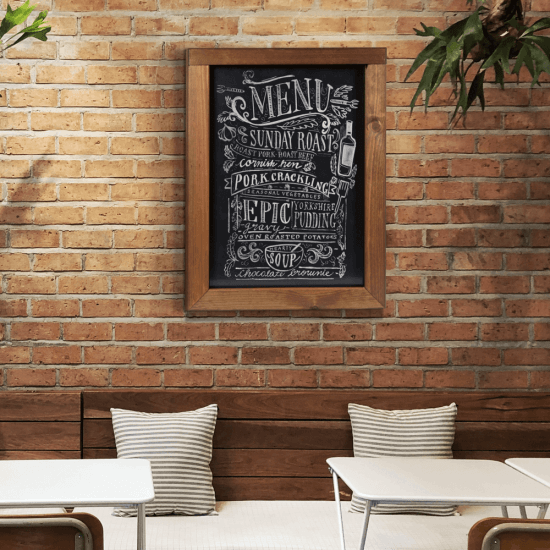 These are great chalkboard menus for restaurants as you can use the same frame for two menus by covering the chalkboard with a poster. 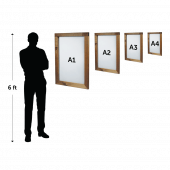 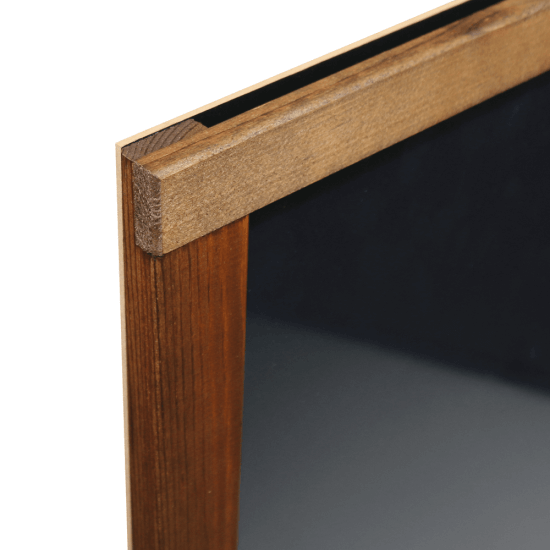 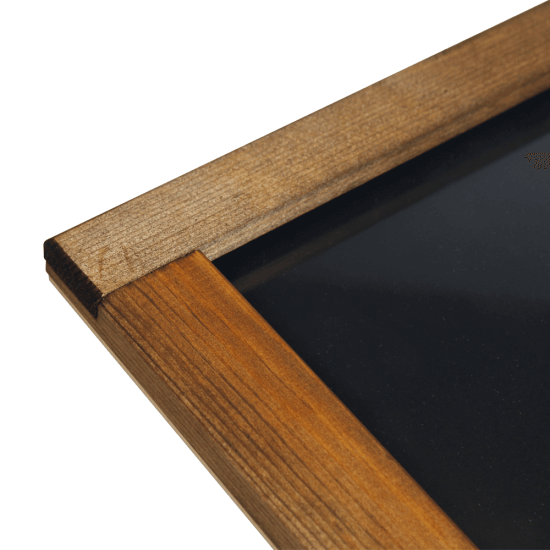 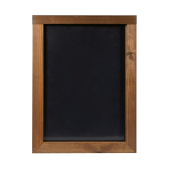 What makes this wood chalkboard frame special? 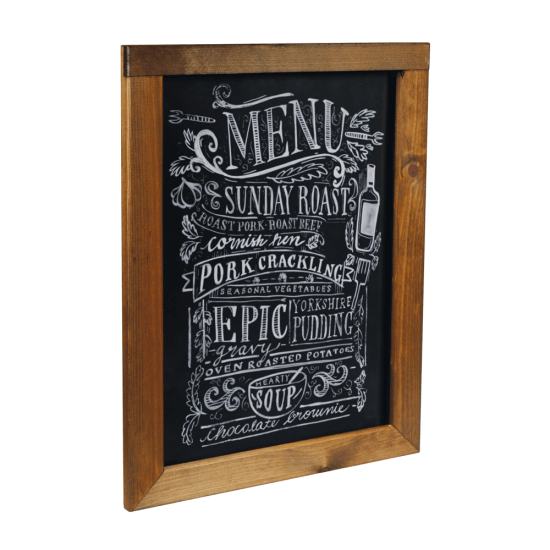 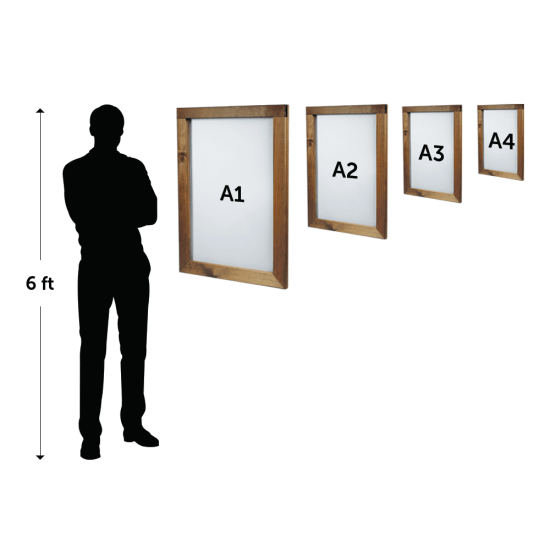 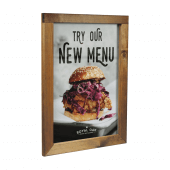 This great value wood chalkboard frame offers more versatility than other models, giving you the option of either writing your menu onto the integrated chalkboard using liquid chalk pens or sliding in a poster over the top. 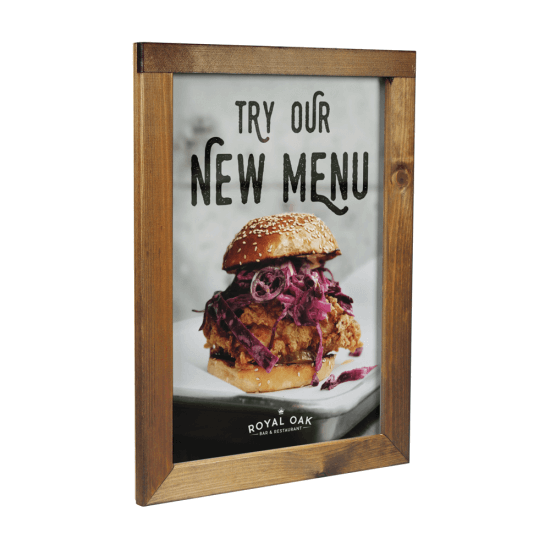 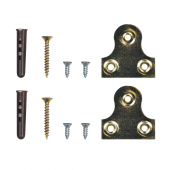 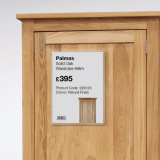 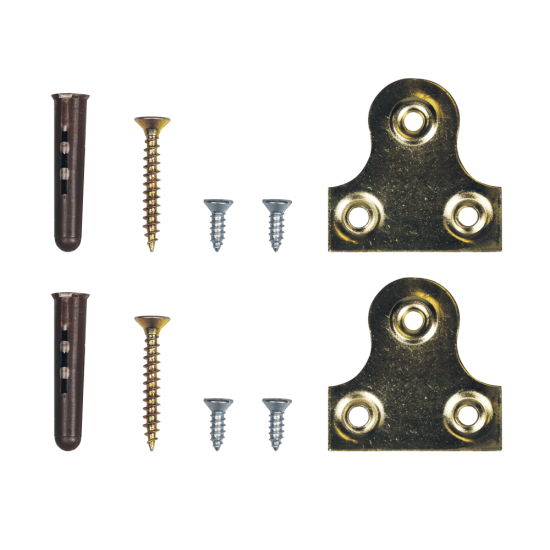 It's finished in a stylish dark oak colour and is provided with screws, brackets and Rawl plugs for permanent wall mounting.